If you ask me what my favorite item to shop for, online or off, hands down the answer is beauty. Just thinking about all those beautiful colors makes me want to forget everything else and start browsing. And the queen of beauty marketing over the years has become, without a doubt, the loyalty program. So many major cosmetics and beauty supply brands have had great success with a rewards program. It makes a whole lot of sense from the business standpoint, because beauty products have a short purchase cycle and are thus perfect candidates for many repeat purchases. What’s more, the customer life cycle is long: most people use hair, skincare and other beauty products throughout their lives, starting from the teenage years. That’s why it’s so important to nurture customers, so that when they’re in need of a refill or a fresh new product your store or brand will be the first thing that comes to mind. Another major benefit is that beauty lovers are a passionate group. Countless men and women have become powerful influencers on YouTube, building up tens of millions of followers who come to see their hair and makeup tutorials. And if you browse the comments, you’ll see that viewers want to learn more and share with one another. Image. Is. Everything. Especially in this industry! On that note, you’ll notice that beauty programs are becoming more and more seamless in their design and presentation, and that’s how it should be from the start. 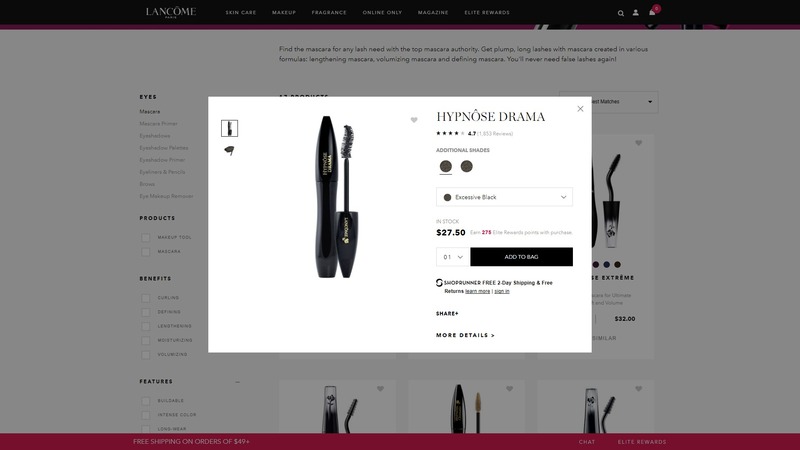 Lancome US’s loyalty program interface had a total head-to-toe makeover, along with it’s website, with a brighter edgier take on beauty. It’s a great thing to consider: every time your website undergoes a new design, it’s important to make the loyalty program a seamless part of that, to fit in perfectly and not feel like a separate entity. Let’s take it one step further and visit the product pages where their reviews and loyalty program also fit in seamlessly. The product page shows loyalty program point information. And the reviews below add value by actually showing the gender and age range of each customer, putting the review into context. And they do award points for reviewing perfect products. It’s quite a nice cycle where one thing leads beautifully to another. Oh, and here’s a bonus: speaking of beauty products having a short purchase cycle, Lancome has included an auto-replenishment service, to automatically ship out your favorite beauty products, right on time for a refill. With a service like that, there’s no need to seek out the competitors. Lancome knows how to incorporate their loyalty program into the whole shopping experience. Recently their whole program just got a new look, to boot. One massive benefit to running a loyalty program is the information you can get about your customers. But shoppers have adapted to the new way of ecommerce and less than half of shoppers simply aren’t willing to give their data up without some sort of trade-off. A rewards program offers the perfect solution, allowing you to give points or instant rewards for social media connects for data, including profile completion or even answering survey questions. But, just like not everyone loves the bright pink glittery nail polish you sell, your customers aren’t all going to use the loyalty program in the same way. Some will be encouraged by referrals. Others will leave reviews for points. And then there will be shoppers who prefer to keep it quick and stick to earning points toward their next rewards by shopping. The same goes for rewards. Beauty programs typically have a wide range of rewards to choose from, because their customers have a diverse set of needs and interests. There are companies that have successful loyalty programs that are focused on discounts only, such as Douglas. Others offer only one type of reward, for example SaksFirst Beauty. Still others, like MAC Select, focus mostly on tiers and exclusive access to benefits. Knowing your audience is key, but variety is arguably the best way to reach every customer. This is another thing L’oreal has done very well, with a wide range of reward categories. Sephora has done the same with their Rewards Bazaar – ensuring each individual member will find something they want. So where’s the trend? Automation. Loyalty programs should work to create a more customized experience for each individual customer. In the same way that personalized email campaigns or product recommendation tools work, loyalty programs can be used to build deeper engagement and loyalty with offers and activity recommendations that suit individuals, rather than offering a generic one-size approach to earning and spending points. SaksFirst Beauty is doing a beautiful job at image and packaging. But with only one reward option (and color palette) at each level, are they doing everything they can to reach every one of their members? Beauty is social. Mothers teach their daughters how to use lipstick when they’re young. They teach them how to braid their hair. Sometimes even Dads get in on the fun! In middle and high school, I remember talking a whole lot with friends about beauty products. It was a common interest; a common thread. And that tendency doesn’t end with face-to-face conversations, it continues every day on the Internet: YouTube, Reddit Beauty, Quora, and countless single-subject forums: long hair forums, short hair forums, natural hair forums, Black hair forums, curly hair forums… and that’s before we even look at brand-based forums! Beauty buyers of all kinds are all saying something: we want to connect! With that in mind, I naturally got very excited about Sephora’s latest addition to their Beauty Insider program. Now, Sephora is a brand that is well-known for doing a lot of things right with their loyalty program. I’ve written about their program more than once. Their approach to omni-channel is a big part of it, ranging from in-store experience to mobile app capabilities. And their app is precisely where the latest community fun began, when they launched Beauty Insider Community. The community is where members can connect with one another. The app, the loyalty program, the shopping experience, and now the community experience have joined together, seamlessly. Why? Because that’s exactly what shoppers want, and Sephora is paying attention. 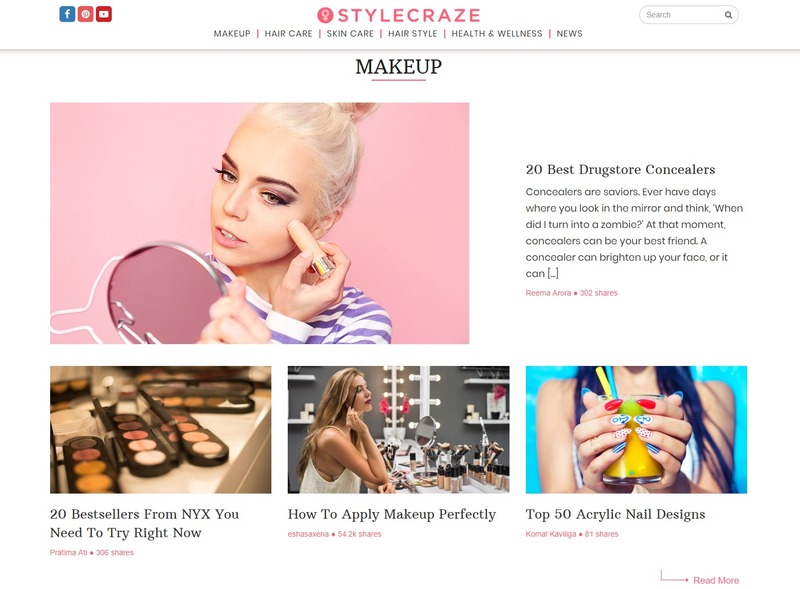 Sites like Stylecraze exist because there’s a huge demand for beauty knowledge sharing. Whether it’s drugstore beauty, to luxury beauty, brands and retailers need to make content and community a visible part of their customer retention strategy. Will your loyalty program be on trend? If you’re considering a loyalty program to promote your stores or brand, keep image, variety, community and knowledge sharing in mind. If you don’t know what your customers want, ask. Browse beauty forums and find out what your ideal customers are talking about. And don’t just use that info in your ads, build your whole customer retention strategy around it, and make sure you’re using the right tools and technology to support the experience you want to create.